The Delaware Breast Cancer Coalition hosted a breast cancer update day on Tuesday at Dover Downs. A quarter century ago when the Delaware Breast Cancer Coalition was formed, public discussions about breast cancer weren’t happening often. Fast forward to now, and the conversations are plentiful and considered an integral part of helping survivors and ending the deadly disease. According to the American Cancer Society, the estimated number of new cases for female breast cancer in Delaware in 2017 will be 840. The estimated number of deaths for female breast cancer in Delaware this year could reach 130. • An estimated 63,410 new cases of female breast carcinoma in situ (CIS) are expected to be diagnosed in 2017. • Over 41,070 deaths from breast cancer (460 men and 40,610 women). Breast cancer ranks second as a cause of cancer death in women. 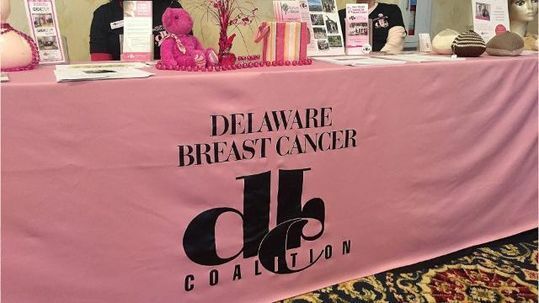 More than 300 cancer survivors, nurses, healthcare employees, doctors and those simply wanting to find out more about breast cancer attended the Delaware Breast Cancer Coalition 20th Annual Breast Cancer Update on Tuesday at Dover Downs in Dover.